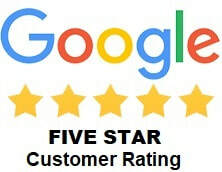 Handyman Orlando | BEST IN SERVICE! You can count on Dr Handyman Orlando for all your home repair needs. Whether you have a minor repair, or you're ready to kick-start your long-awaited home project, we can help you get started right away. Are you looking to remodel your bathroom and kitchen, install new flooring, replace your fence, paint your house, or pressure wash your home? 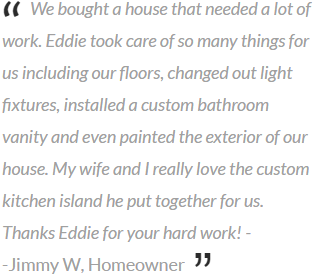 Our handyman services can take care of it for you. Our professional handyman team in Orlando, FL has enabled us to provide the best balance in affordability and experience to work with your needs in different home improvement areas. We are here to serve you when you need a handy man you can trust. We provide a wide range of everyday home repair services to become your one stop source for professional handymen that offers dependable service. WE ARE ONLY SATISFIED WHEN YOU ARE! DR Handyman Orlando will take care of your home repair and installation needs. 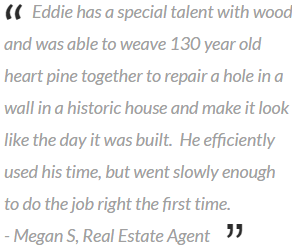 Call (407 ) 871-3110 today to speak to a friendly and professional handyman to get a FREE quote! ﻿Flooring is a big investment. Not only will it remain in your home for a long time, it'll also create the overall look and feel of a home. There are many flooring options to choose from when remodeling or building a home, including laminate, hardwood, tile, marble, bamboo, vinyl, and more. Within each type of flooring, there are hundreds of colors, styles, and design. The important thing to consider when choosing floor material is thinking through how you plan to use that area of the house. Will it be used for recreation, cooking, office, exercise, working out, family time, or for children to play? Choose the appropriate material for the type of activity that will occur most often in that space. Once you've narrowed down the material, then you can choose from the many designs and layouts available to suit your taste and style of your home. Do you prefer soft, luscious carpets instead? Our technicians can install carpeting in your home as well. Or, if you are looking for the most affordable option to extend the life of your carpets, we recommend getting them cleaned by a professional carpet cleaning service in Orlando. Most carpet manufacturers require carpets cleaned once every 12-18 months in order to keep the carpet warranty valid. When you're ready to install, hire a handyman that has experience in floor installation to ensure your floors are installed properly. Interested in getting a custom kitchen backsplash installed? A backsplash not only finishes out your kitchen and adds a nice designer element, it also protects your walls from oil splatters and any potential spills that can happen. Backsplash tiles can come in different shapes and styles such as hexagonal, subway tiles, pebblestone, brick, herringbone, basket weave, and mosaic. They also come in a variety of materials such as glass, marble, porcelain, ceramic and stone. If you have been thinking about getting that nice backsplash addition to your kitchen, give us a call now for a free affordable quote. We can also repair or redo your bathroom tiles to give that updated look. There are different types of woods or vinyl that are typically chosen for fencing a home. The most popular are spruce, cedar, and pine. Spruce fences last the least amount of years, usually 4-7 years, whereas pine can last 5-12 years. Cedar fences can last upward to 15-30 years. However, if your wood fence is treated, the treatment companies say that it can extend the life of your wood fence up to 20 years. If you're looking to upgrade your fence, sometimes a good power wash will do the trick and save you some money without having to replace the entire fence. Is your house or driveway starting to look worn and dated? Our pressure washing services will provide you with the most affordable and deepest clean. We determine the best approach in removing dirt and stains that may have accumulated over the years and provide you with the best cleaning. Many times, all it takes for your house or driveway to have that "new" feel is a good pressure wash. Our services here in Orlando will bring a smile to your face when you see your driveway, deck or exterior of your home revitalized. We clean gutters! Having your gutters cleaned regularly is important so there is adequate removal of water through your gutters and downspouts during the heavy rainstorms that we get in Orlando. When downspouts get clogged with leaves and debris, water can fill up in your gutters and cause them to sag and sometimes even break away from the home. Leaks can also develop with still water sitting in your gutters over long periods of time. Inspecting your gutters on a regular basis and getting them cleaned can save you bigger headaches down the road. If you do need gutter repair work done, it's best to get it taken care of earlier on before they lead to bigger issues. Our team can give you an affordable quote for the repair and get it done quickly for you. We clean dryer vents, too! Did you know the leading cause of dryer vent fires is due to lack of routine cleaning? We recommend cleaning your dryer vent 2 to 3 times per year depending on how often you do your laundry. Remember to clean out your lint trap each time before you run the dryer, and if you notice your dryer running hotter than normal, it may be a sign that your dryer vent is clogged and needs immediate attention. Dryer vent fires can happen suddenly, and many times when we're away from the home. If you're like some of us, we usually throw our clothes in the dryer before we head out of the home. It's important to have your dryer vent cleaned regularly to prevent unnecessary headache and property damage. We use equipment that reaches deeper into the vent to remove clogs than what a homeowner or tenant is able to do on their own. Call us for an affordable quote. Unsightly hole in the wall? We understand accidents happen. We have repaired drywall holes and damages that result from accidents as well as holes that needed to be opened up for any number of reasons. We will fix your headache today. Our drywall repair experts will make your wall look like the hole was never there. Do you have a specific texture or knockdown on your walls? We match your texture as closely as possible to the rest of the wall and will paint the section of the wall to match the original paint color. If part of your door trim or baseboards need to be replaced in the process of repairing your drywall, we will take care of that as well. Best way to prevent bugs from getting into the house is to make sure all your window screens and screen doors are in good shape. Mosquitoes can carry viruses that cause your loved ones to get sick, as well as heartworms that can affect your pet's health. Before using your patio or opening your windows, do a routine check around your home to make sure your screens are in good shape and no new holes have developed over the course of the winter months. Our handyman technicians can do a routine inspection for you and repair any screens that may need to be rescreened. Do you need your locks and deadbolts replaced in your home? It is always recommended for safety reasons to change out all the locks in your home when you move into a home you just purchased. There are different types of locks you can use on your home. Single cylinder locks are the most common type of locks that have a thumb-turn style lever for you to lock or unlock on the inside. Double cylinder locks are recommended for doors with glass or doors that are next to a panel window. These type of locks require a key to lock and unlock from both sides of the door. This becomes an added protection against burglars who may attempt to break your window to unlock your door from the inside, only to find out the inside of the door requires a key to unlock as well! Are you looking to install a deadbolt in your door for extra security? Or perhaps you want to upgrade your front door or interior doors in your home for that modern look? We can take care of that for you, too! Need a TV to hang? Or Install mirrors and blinds in your home? Hanging a flat screen TV on a wall can free up valuable floor space in your living room. It also gives that clean, minimalistic look. Having your flat screen TV hung on a wall also keeps it away from young toddlers. Let our Orlando handyman professionals take care of your home decor needs and other odd jobs you have around the home. We would love to serve you and help create a living space where you feel relaxed and enjoy coming home to at night. Have an idea you want to turn into a reality? Perhaps a storage unit or an added feature in your laundry room? ​Many home projects require custom wood pieces and furniture. Whether it's a custom cabinet system, storage shelves, or installing a shed in your backyard, our experience in carpentry will help you reach your project goal. 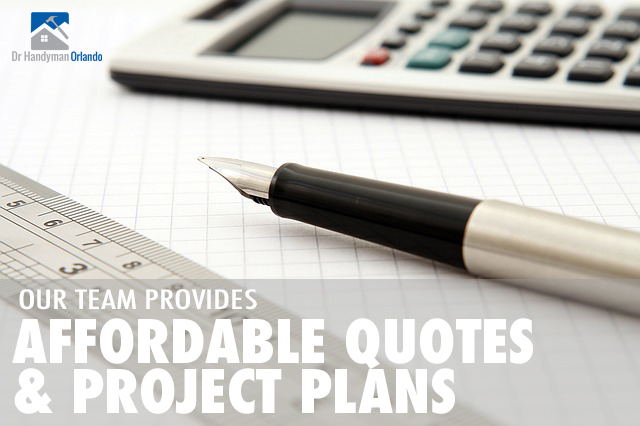 We can go over your project together with you and determine the best solution to accomplish your goal for your home. Are you looking to have your mailbox replaced or any other service not mentioned? We are your trusted source for Orlando handyman that provides a wide range of services. Check out our services page for the types of jobs we typically do, and if you don't see it, give us a call and we'd be happy to let you know. Hire a handyman IN ORLANDO FL that knows your neighborhood and area. ​We are a local source for Orlando handyman specialized in giving you personalized attention for any of your home repair or home improvement needs. We are proud to ensure honest and trustworthy work all within your budget. 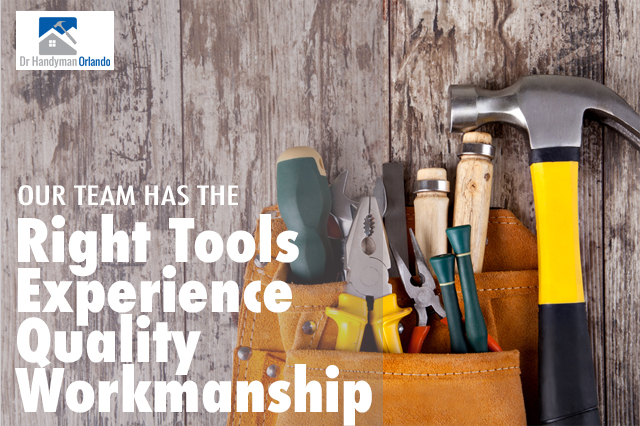 You can count on our network of handyman professionals. Each handyman is an independent contractor and operates independently. This allows us to provide the best service at the best possible price. Being small and local gives our handyman the leeway to spend time speaking with you and make sure we answer all of your questions. We take care of interior jobs such as flooring, bathroom repairs, kitchen upgrades, fix broken doors and windows, interior wall painting, drywall and ceiling repair; as well as exterior jobs—such as exterior paint, fence repair and installation, and pressure washing. Whether you're located on the East Side of Orlando close to Waterford Lakes Town Center and Marlow's Tavern (one of our favorite local restaurants for relaxed dining and American food) or you're by Winter Park and close to Park Ave, or you're by Downtown Orlando and close to Lake Eola, we would be happy to service you! Give us a call today!